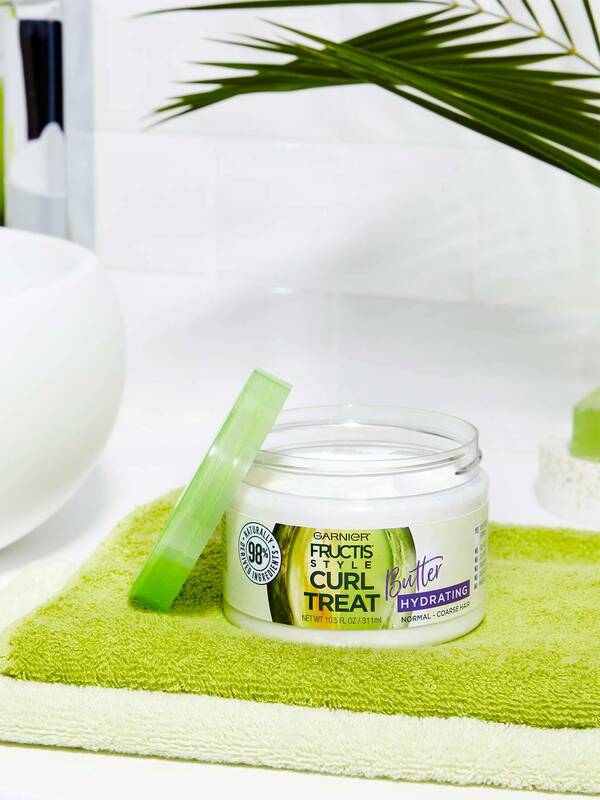 Garnier Fructis Style Curl Hydrating Butter Treat is a leave-in styler for curly hair made for normal to coarse hair types made with 98% naturally derived ingredients. A 98% naturally derived ingredient is unchanged from its natural state or has undergone processing yet retains greater than 50% of its molecular structure from its original natural source. 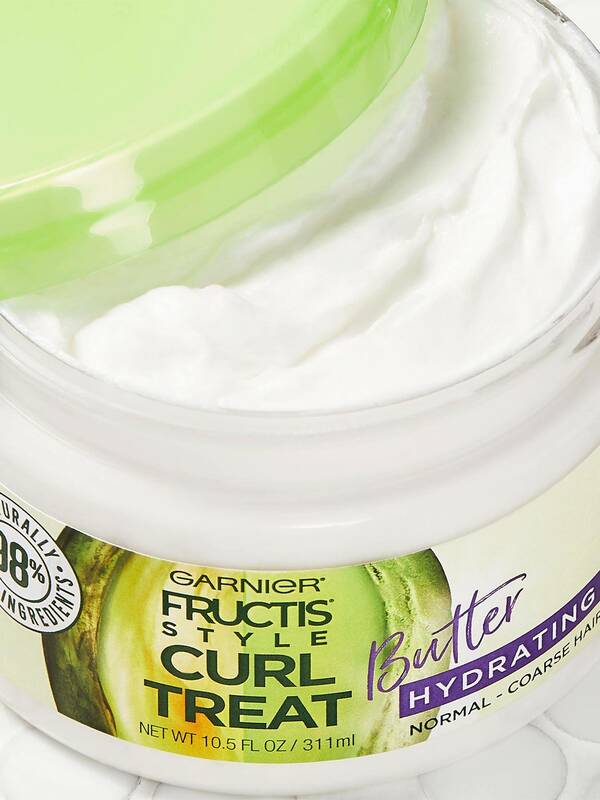 Garnier Fructis Style Curl Hydrating Butter Treat is a 80% biodegradable formula made with no sulfates, no silicones, no parabens, no artificial colorants, and no mineral oil. For hydrated, up to 24 hour frizz resistant curls with no greasy weigh down, Section hair and apply sparingly to damp hair, rake through evenly with fingers to shape curls and let hair air dry. 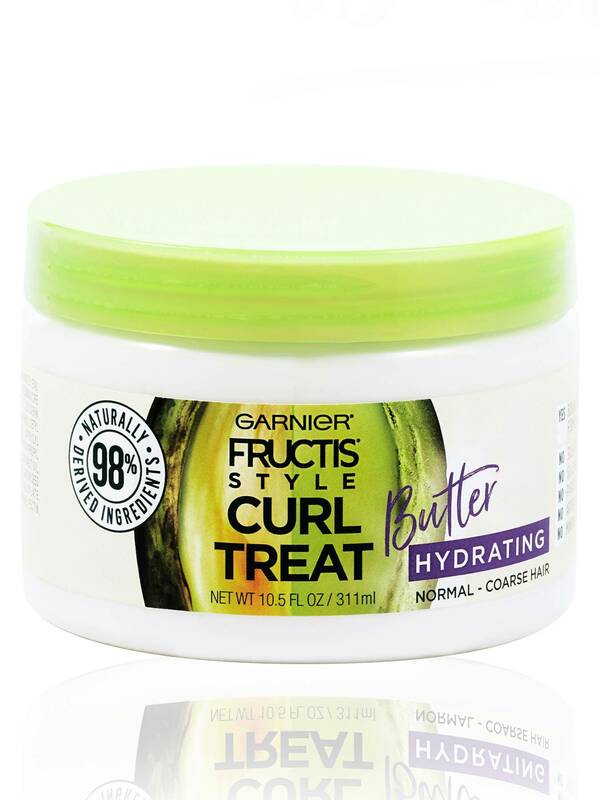 Garnier Fructis Style Curl Hydrating Butter Treat is suitable for color treated hair and formulas may vary slightly in color and consistency. Rated 5 out of 5 by Tami C from Great Product I loved this! Left my hair looking great. Had just enough hold without being too much. Made my curls look natural and healthy. Rated 5 out of 5 by Roadtripper from Love this! I bought this at Target at a great price. It works wonders with my 3b/3c curls. I used a small amount in freshly washed hair, scrunched, and let air dry. Frizz free and moisturized soft curls. Thank you Garnier for this great product. Please never stop making this great curl butter! Rated 5 out of 5 by jessicass_ from This mask its so good, I loved the moisture and also it smells so good, its a good price ans you can find it in a lot of glocery stores.